Hi my name is Micah oregel my friend Jack gave me this and I hope to spread happiness across the globe. Hi my name is Jack Mikesell I am 9 years old and a fourth grader at Todd Academy in Corona California. 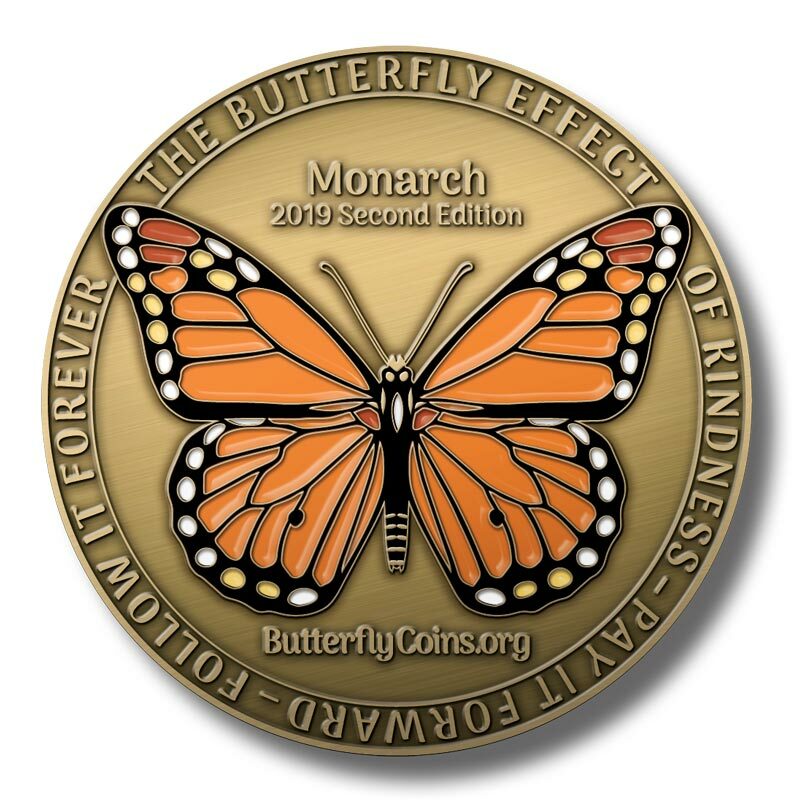 My class does service learning projects every month so I decided to get a butterfly coin to start random acts of kindness and see where the coin travels to and how far it can go. I can't wait to see where this journey takes me!